Fares for boat trips along St. Petersburg’s rivers and canals in 2017 are a bit higher than last year, though are still quite affordable. Tour companies continue their policy of giving discounts when purchasing online. 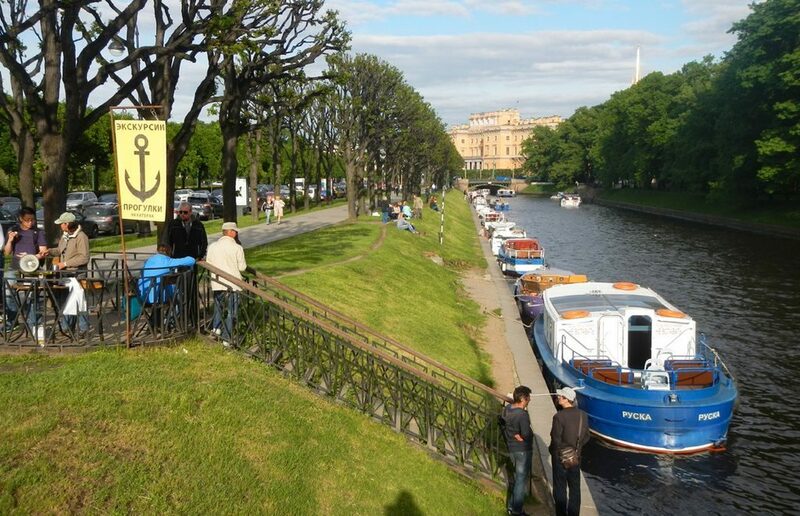 Taking a one hour trip by boat through the city’s center is number one entertainment in Saint Petersburg, the one that’s constantly consumed by locals, not only by tourists. The view of the city from a river vessel is absolutely different from what you see and feel from ground. There are a few typical tours provided by boat no matter how they call them. 1. One hour (1.15) trip along rivers and canals will cost you 650-750, on average 700 rubles ($12) per person. 2. Sailing under raising bridges in the Neva river at night (1.30 hour) is about 800 rubles ($13). 3. A tour on a double-deck ship which sails in the Finnish gulf for a part of a trip costs $12 for a 1.30 hour journey and $17 for 2.45 hours. 4. Visiting forts (former military fortifications) of Kronstadt during a five hour journey costs $25. 5. Getting to Peterhof by hydrofoil which can be considered as a nice sea trip is about $13. Note that booking online can save you about 10-15% depending on a journey and a tour company. First boat trips and cruises in St. Petersburg start in late April. If you need some additional information on the subject, just drop us a line in comments below.